From big budget to low key, every wedding is as unique as the couple getting married. And when it comes to choosing your venue, you want to pick a special place that reflects your style and personality as a pair. Whether you are looking for casual and cozy, to elegant and extravagant, North Texas has venues to suit every whim and wish. We’ve put together a list of some of our favorites to help make the search that little bit easier. Get hitched in an elegant, antebellum country estate situated on 52 oak-studded acres. The sprawling grounds include open fields as well as a winding creek. From the columned Georgian-style mansion to the dramatic wall of windows this venue makes for a perfect backdrop to photography. 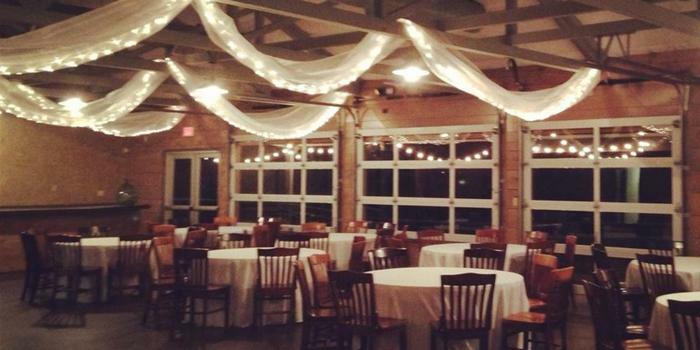 Celebrate your reception in a gorgeous ballroom, where French doors open out to a terrace. And if the weather is good why not take your ceremony outside to the new covered pavilion. Imagine getting married under the big Texas sky. This beautiful venue offers an outdoor ceremony pier set on a 250-acre ranch that has been family-owned for more than years. Big Sky’s name originated from the idea of what can be more breathtaking than saying your vows underneath the big Texas sky. Accommodating up to 300 guests, the Hall lets your guests you still feel part of the outdoor setting with an amazing “wall of windows” that faces out onto the 5-acre pond and ceremony site. This is a truly special venue with two amazing offerings. First up is Poetry Hall a breathtaking venue that brings the beauty of the Texas countryside indoors with truces across the ceiling, sterling white limestone and dozens of gorgeous architectural elements. The Springs also offers you the chance to say I do in a southern manor like no other. The beautiful Rockwall Manor is a unique venue offering colonial and southern charm surrounded by plush landscaping, trees. Amazing photography is guaranteed with an interior double staircase and beautiful rooms that will create the jaw-dropping, picturesque wedding you have always dreamed of. This rustic-chic venue is perfect if you dream of an outdoor wedding without any fuss. One of the best features of the Grove is the mile-long driveway canopied by trees leading to the 45-acre property surrounded by 360-degree mountain views. You and your other half will celebrate your union in The Ceremony Bubble, a leafy arbor encircled by mature oaks. Guests will sit on handcrafted benches and then afterward head to the Events Barn, which has cedar trusses hung with chandeliers, oversized barn doors, and French doors leading to a covered patio strung with market lights. Sophisticated and stylish this hilltop location delivers incredible views as well as a romantic Victoria gazebo for your ceremony. Delivering a classic winery look in North Texas the property is huge and filled with fields of beautiful grape vines. From the ceremony, you and your guests can overlook the vineyard, which sits amidst majestic rolling hills. This spectacular venue also offers the use of a Grand Ballroom with wraparound windows and a dramatic half-dome ceiling. The Barn at Rustic Grace was built in the 1920’s and is an authentic, formerly working, red barn that has been the celebration destination for over 400 weddings. Get set to marry I the vintage-inspired Chapel at Rustic Grace, which is the quintessential white wedding chapel. Offering the choice of an outdoor or indoor ceremony, as well as a reception in an authentic red barn, Rustic Grace is especially perfect if you have guests flying into DFW Airport. Influenced by Croatian architecture encompassing the modern style of a sophisticated venue, its features include; unique hand painted walls coupled with a stone feature and multi-colored stained glass windows. The Sanctuary accommodates 170 guests for a seated dinner, 150 guests for a buffet dinner or up to 250 guests for a limited seating cocktail style reception. Surrounded by the most distinctive and charming area in Texas, The Sanctuary is truly a unique venue for your wedding day. A Wildcatter Ranch Wedding provides an unforgettable backdrop for your special day. The views, amazing facilities, onsite guest rooms, activities and custom catering options create the perfect atmosphere for families to come together and celebrate the unity of the new couple. Only minutes from Dallas/Fort Worth guests can escape the city and discover the beauty of the North Texas Hill Country at a Texas guest ranch complete with western-styled guest rooms, horseback riding, guided activities, therapeutic massages and first-class authentic Texas cuisine. Now you’ve got your venue sorted, let us give you the best entertainment for you and your guests! Contact our creative team today.